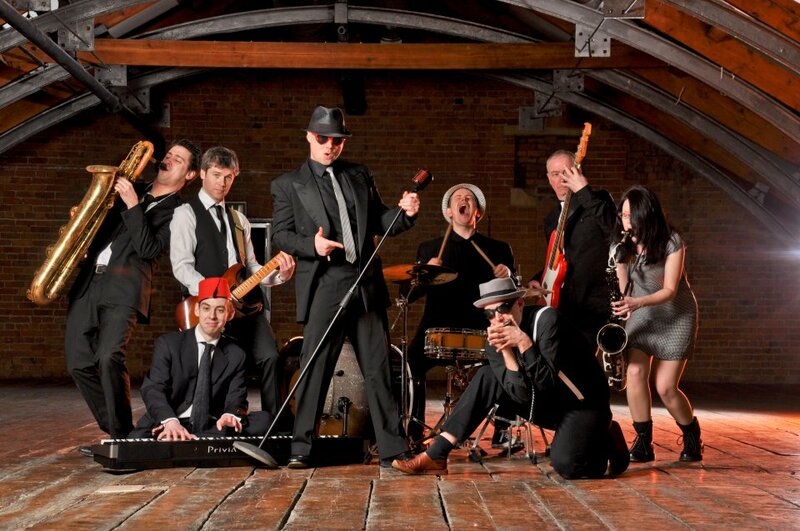 Blue-Heart Mitch And The Blazin' Jacks are a great wedding party band who can provide three different types of set; ska, soul & rock’n’roll hits of the 1960s to the year 2012 as well as jazz, swing & jive hits of the 1930s to the 1960s and a whole set of classic ska. 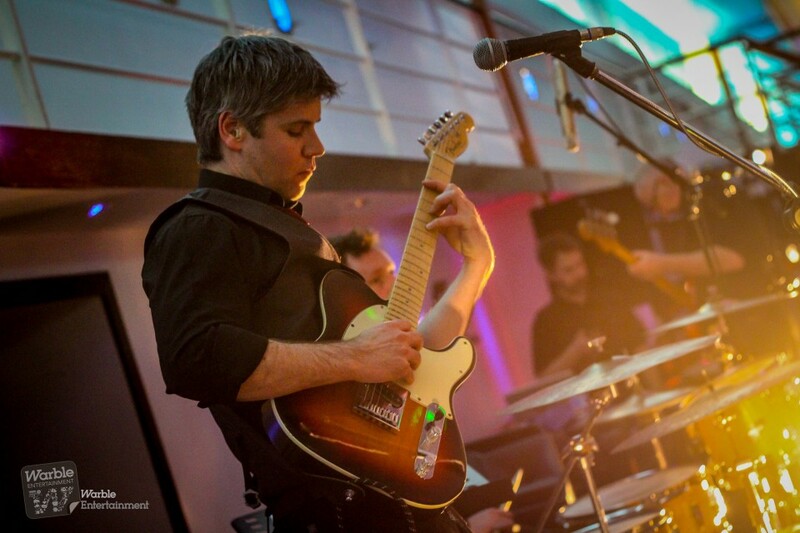 All are great fun with interactive audience participation in both genres & include around two hours of live playing. 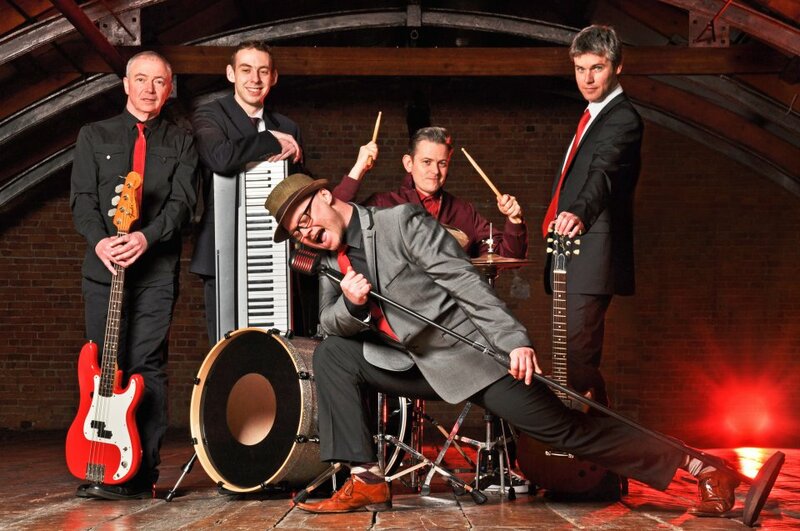 Although based in Yorkshire the band are available to hire across England, Scotland and Wales. The Lady Is A Tramp - Sammy Davis Jnr. 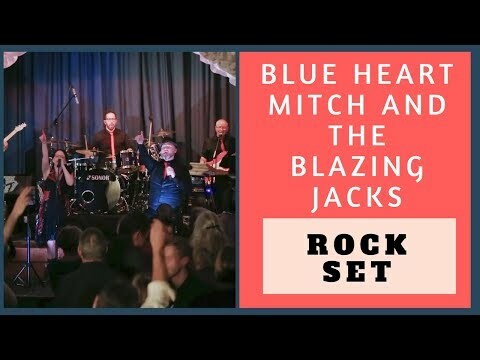 Blue-Heart Mitch And The Blazin' Jacks are a great party band who can provide three different types of set; ska, soul & rock’n’roll hits of the 1960s to the year 2012 as well as jazz, swing & jive hits of the 1930s to the 1960s and a whole set of classic ska. All are great fun with interactive audience participation in both genres & include around two hours of live playing. 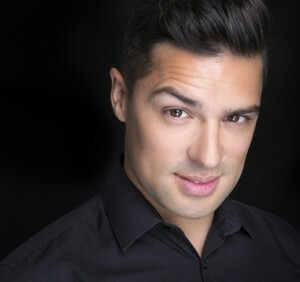 The band's singer, Mitch, has a great ‘feel’ for passionate music & loves engaging in a friendly & entertaining dialogue with audiences as well as incorporating participatory singing & dancing with the audience into the show. If the audience are shy, he will hold back & go easy on them but if it’s a party you want, he will be in his element. Extra booking and package options available. 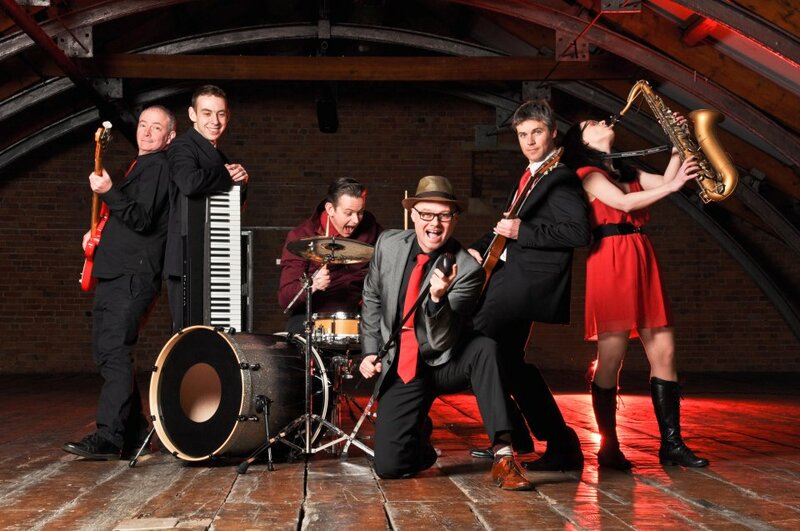 A brilliant party band. 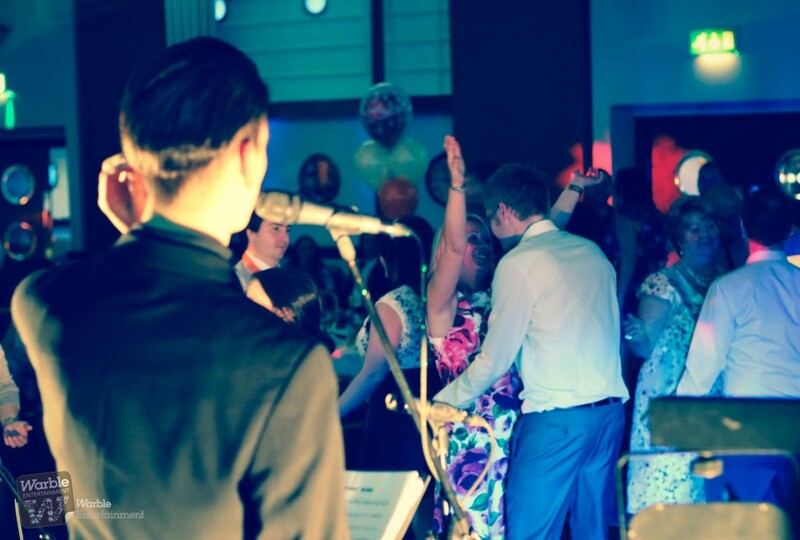 We had a party of 100 guests in age ranges 20-75 and the band kept the whole room entertained. 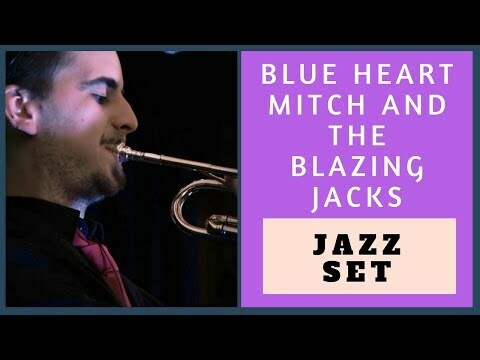 I'd highly recommend Blue-Heart Mitch & The Blazin Jacks! Wow! This is a really great band who got everyone up and dancing. The saxophone was a really worthwhile addition. 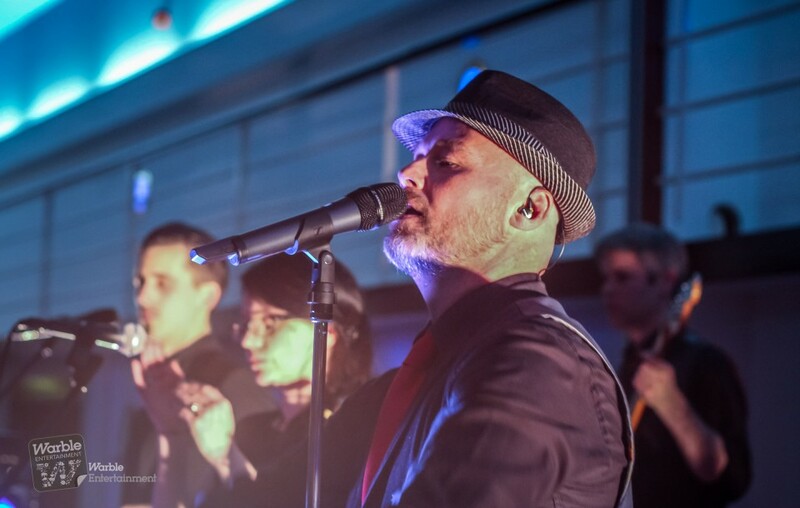 Great musicality and showmanship and they really made the party go with a swing. Love them! Blue Heart Mitch and the Blazin Jacks were absolutely brilliant. We ummed and ahhed about whether we should just have an iPod at our wedding reception but I cannot recommend this band enough. They got pretty much everyone up, dancing and involved. Thank you SO much! 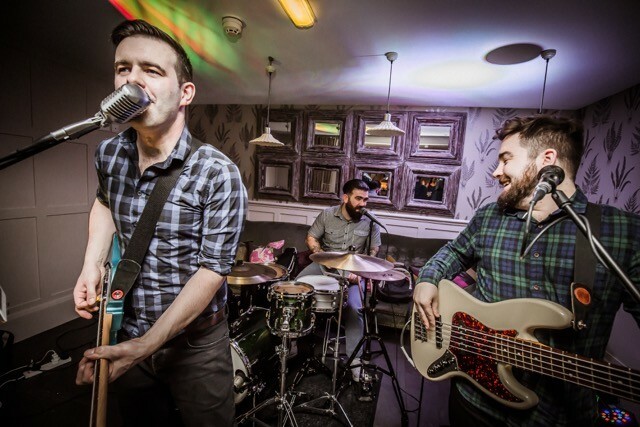 We knew that the band were going to be good from watching their videos online but they really did exceed all expectations and made the evening of our wedding a tremendous night to remember. The dance floor rocked from start to finish. Would highly recommend to anyone. I couldn't recommend these guys any higher, absolutely brilliant. Everyone enjoyed the music immensely, great band, great people. Absolutely EPIC!!! I don't often leave reviews for things but for these guys I simply had to. 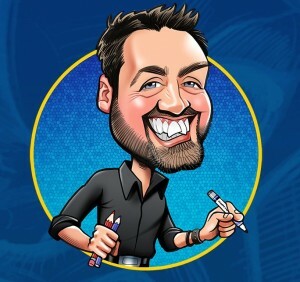 We've had many a function with booked bands and everyone agrees that Blue-Heart Mitch And The Blazin' Jacks are the best we've ever had by quite a considerable margin. I thoroughly recommend this band if you're looking for a good time. The band were awesome and lovely to deal with. We will definitely be booking them for future parties. Could not be happier. Many thanks. These guys were great. 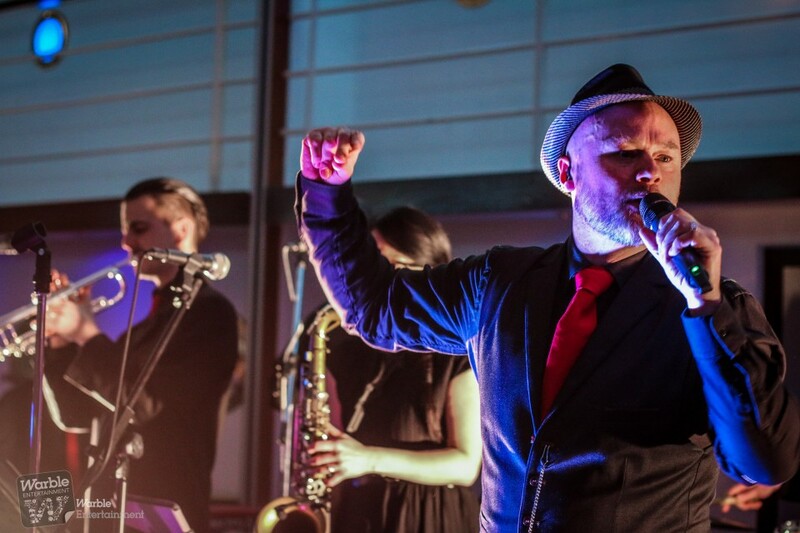 We had the full band for a three hour set and they did everything from jazz, swing, soul, rock'n'roll and ska, and they nailed it all. There were people of all ages there and everyone loved it. 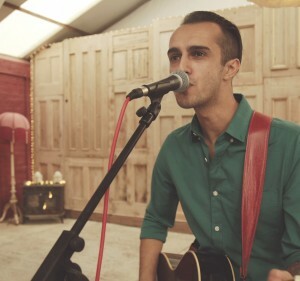 They're a really tight band with talented musicians and loads of energy! Thanks guys, it was a great night! Really impressed by the band and the organisation. We had a great night, and so did our guests. Absolutely amazing, there are not enough words to explain just how good this band were. 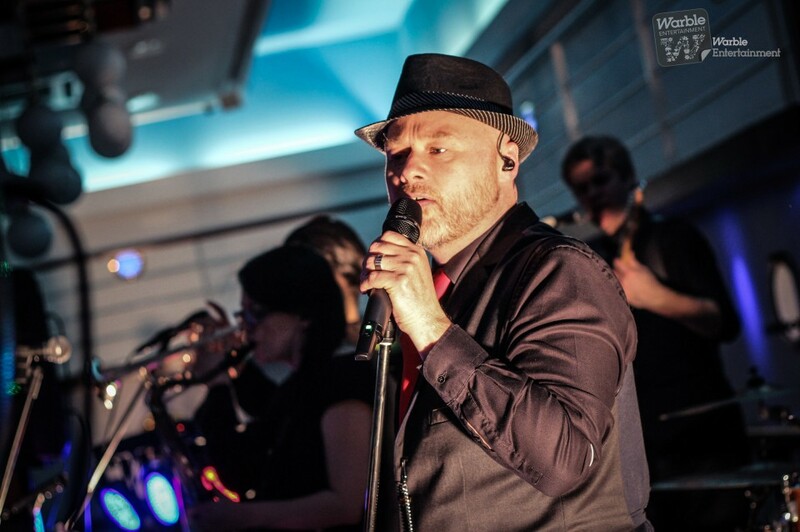 We've had so many comments over the last few days about atmosphere at the wedding and just how fantastic the band were. Brilliant - just amazingly brilliant. Can't say enough good things about them. These guys are absolutely AMAZING! 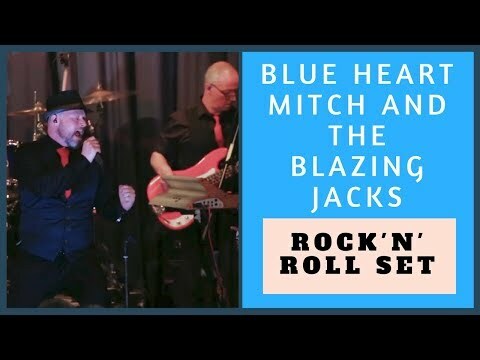 We were looking for a band for our Wedding Party but we wanted something a little bit different - Blue-Heart Mitch And The Blazin' Jacks fitted the bill perfectly, providing plenty of upbeat, swinging music that had everybody up on the dance floor (even those who are usually reluctant to dance!) 5-star, quality entertainment and the stand out highlight of our night. Thank you so much! One of the hardest things for two music lovers was choosing a band for our wedding, but with Mitch and the guys we hit the jackpot! From the planning stage Mitch was a great source of guidance and open to suggestions and then to the night itself they were all brilliant, friendly and professional. The whole wedding party was on their feet as soon as they started and they played with energy and passion. We couldn't have asked for a better song list and would recommend adding the sax into the mix as it gave such a great sound. We chose a Toots song for our first dance and it was was perfect and brilliantly done. 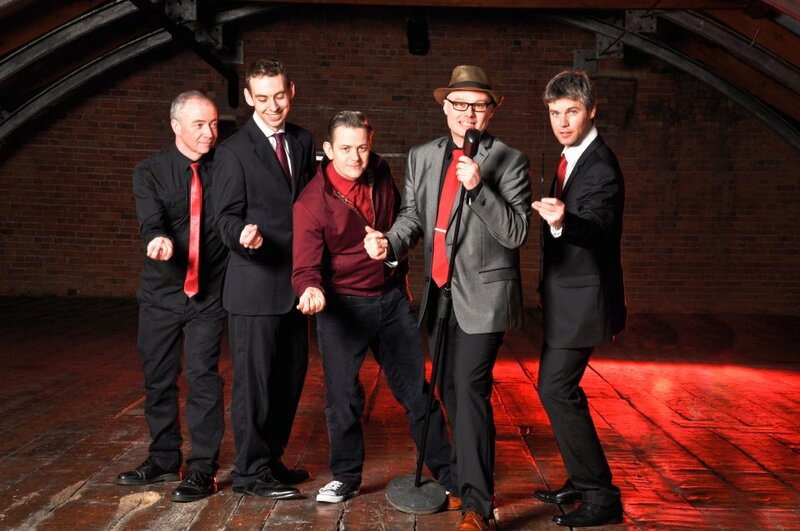 If you want a great vibe that lasts long into the night, with a sprinkling of fun you should chose this band. The band were absolutely amazing and far surpassed expectations. They really made our wedding and everyone enjoyed it so much. People are still talking about how good they were now. I will be recommending these guys to everyone I can. The band were superb and Dave who I corresponded with was excellent and on the night provided good suggestions for future events. They were sound professional musicians and had a good vibe, which got everyone up and dancing straight away. 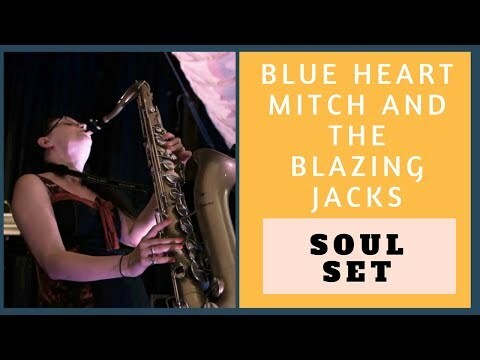 We just want to say a "HUGE THANK YOU" to Blue Heart Mitch and The Blazin' Jacks!!! 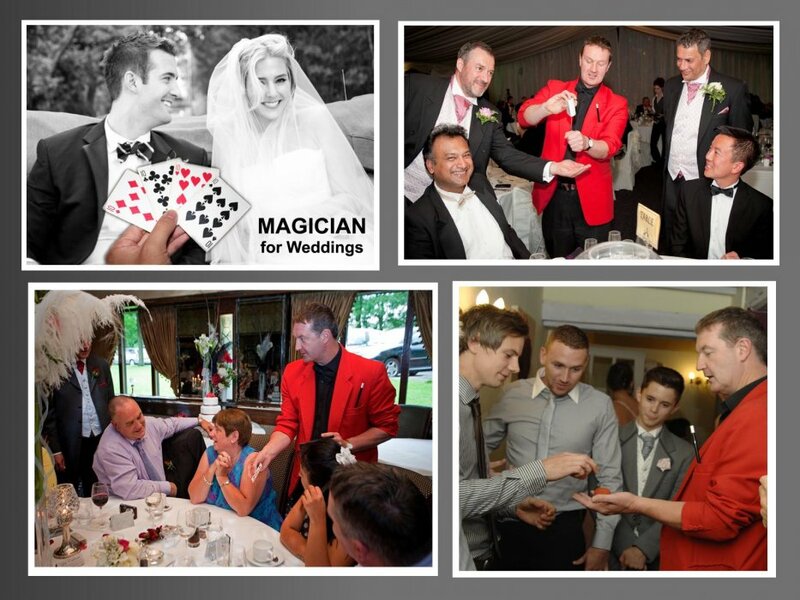 Not only were they terrific on the night, but they helped us in so many ways and were totally professional throughout. From stepping in to fill a cancellation; to learning a totally new 1920's set; arranging a new version of my Daughter's" First Dance" music so it fitted properly, to filling gaps when other entertainers' arrival was delayed. They also liaised with other acts to perform on stage with them. But most of all they were just a fantastic band. 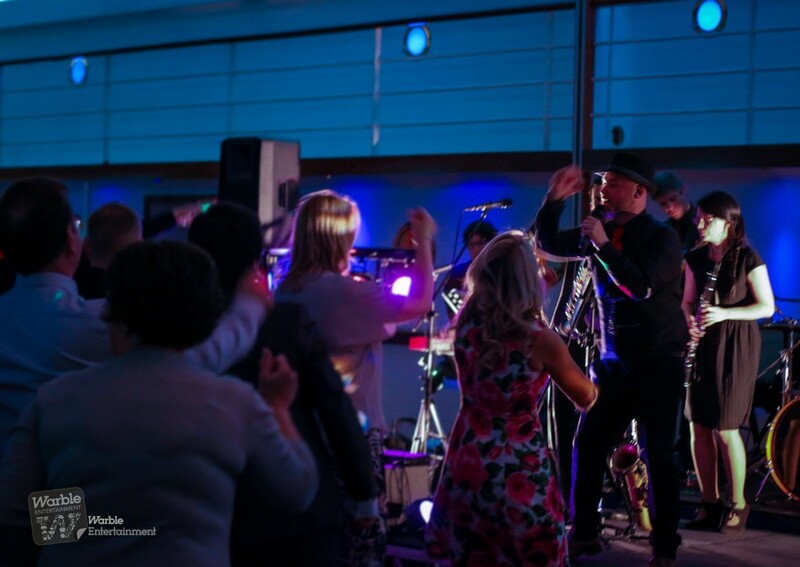 Every single band member is an accomplished musician in their own right, but they also have the performance skills to back it up - Virtually the whole room was on the dance floor. They all said it was the best party - let alone wedding - they've ever been to! The Band will be talked about for a long time and I would have absolutely no hesitation in recommending anyone to book them. Well Done Dave and your Team - your Band completed the perfect day for us - I've never seen my Daughter look happier. Thank you also to the agency for arranging this Band for us and making the booking arrangements and payment procedures so easy. We were very happy with the band. They were everything we hoped and more. They engaged the crowd and made sure everyone had a fantastic time! 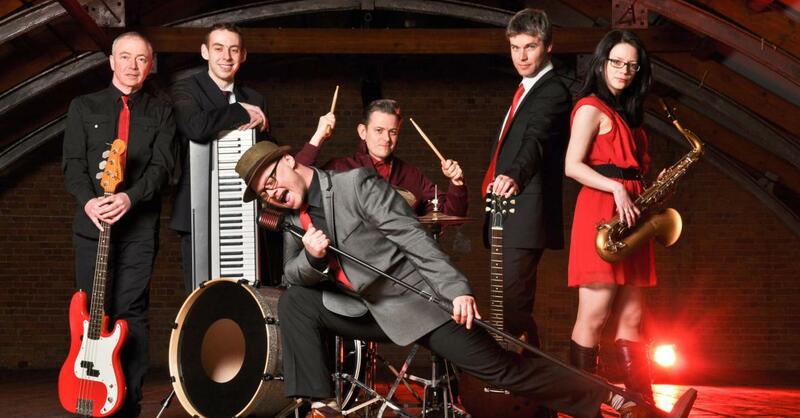 If you want an energetic and fun band, they are for you! They played a great variety of songs which everyone loved. Can't recommend them enough. They thoroughly made the evening of my wedding. Band were great, your service was prompt - no issues. The band were absolutely brilliant, arrived early and got set up, got the crowd dancing and were really interactive with us all. So professional and fun! Warble I couldn't fault either, kept in regular contact and always responded to any queries promptly. I would definitely recommend both. 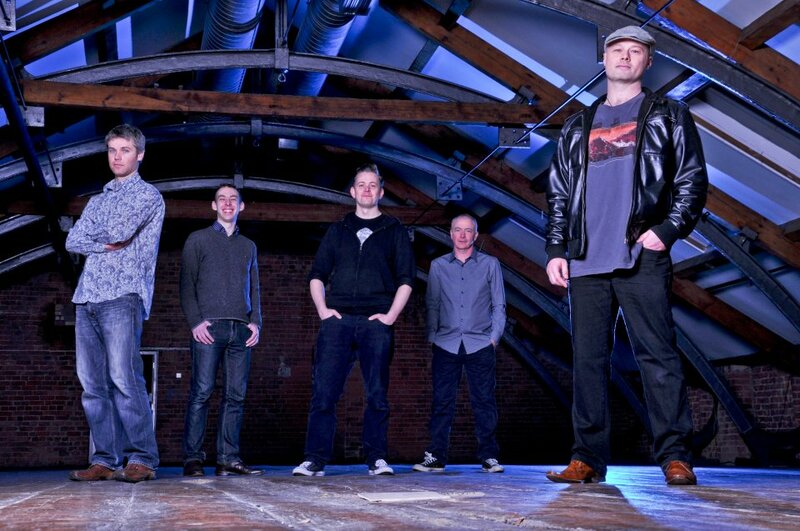 What a FANTASTIC Band!!!!! I would recommend them to anyone who wants a jolly good PARTY!!! 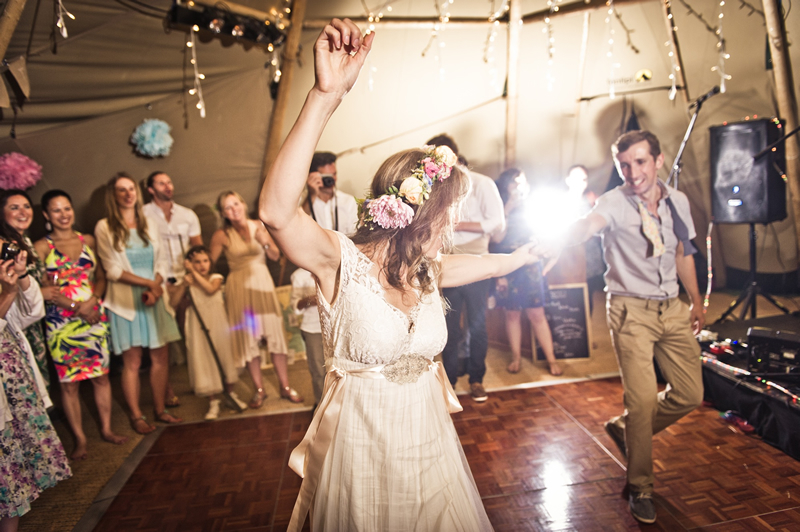 Not only were Mitch and the guys polite, easy going, happy and reassuring (For a Bride!)... their music had bags of charisma, attitude and energy. It is IMPOSSIBLE to not get up and dance, even my Dad who is not a show man in any way was up having the time of his life. We chose the Ska/ Rock n Roll set (with some Reggae thrown in, ode to our Wedding in Florida) and every single song was a classic everyone knew. FANTASTIC Value for Money (We paid a little extra for 12pm - 1 am set which I'd recommend). LOVELY GUYS, accommodating to all of our needs or concerns, no matter how small. NOT CHEESY IN THE SLIGHTST (I am 26 years old and a trained actor/musician so I am very particular about "second rate" and "cringe worthy" acts! This band is neither of those things). 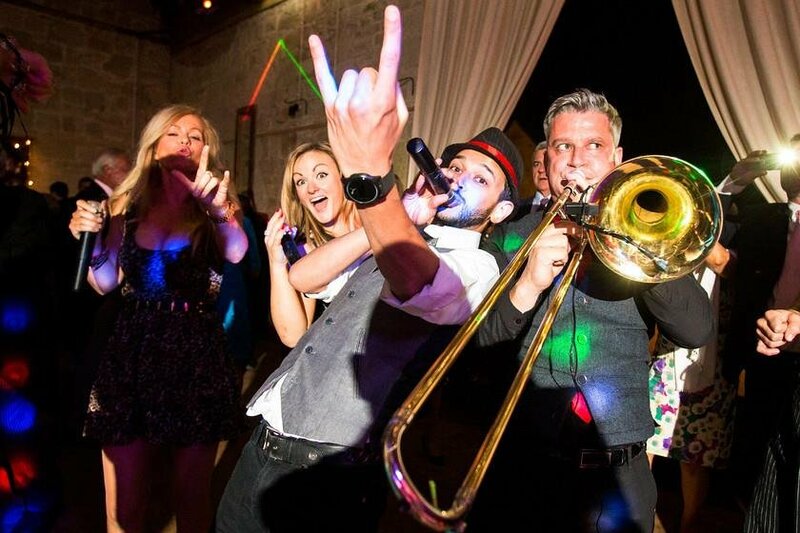 All our Friends and Family said best part of our Wedding Reception was the Band. DONE. 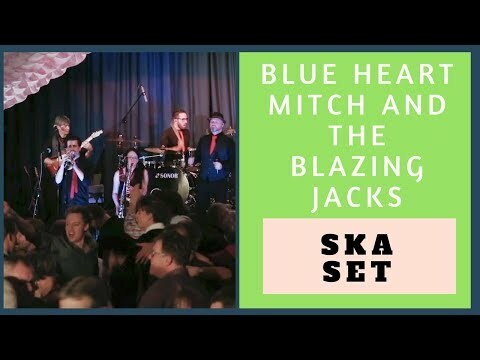 We spent a lot of time researching the type of act we wanted for our wedding and finally settled on Blue-Heart Mitch and the Blazin Jacks, primarily because of their extensive and excellent repertoire (you'll struggle to find a bad song) and the positive feedback we came across on various sites. We were not disappointed. Each member of the band is a superb musician and together they create an impressive sound, aided by a top quality set-up and light show. 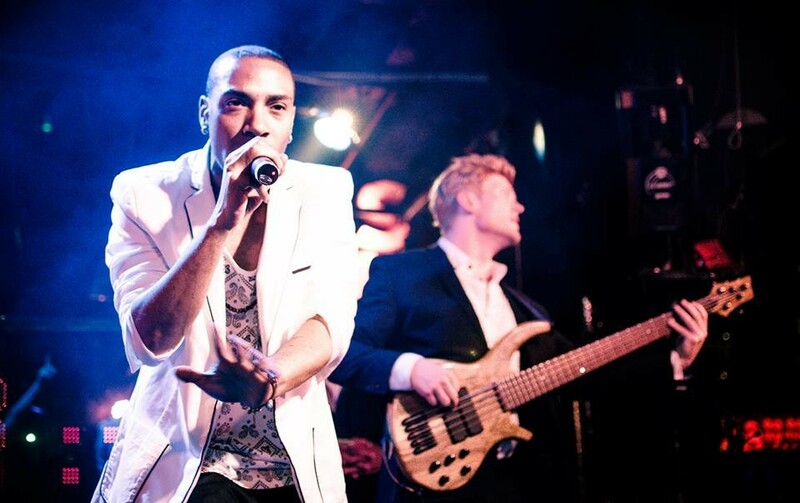 Mitch is a born entertainer and a brilliant frontman who managed to persuade young and old onto the dancefloor. 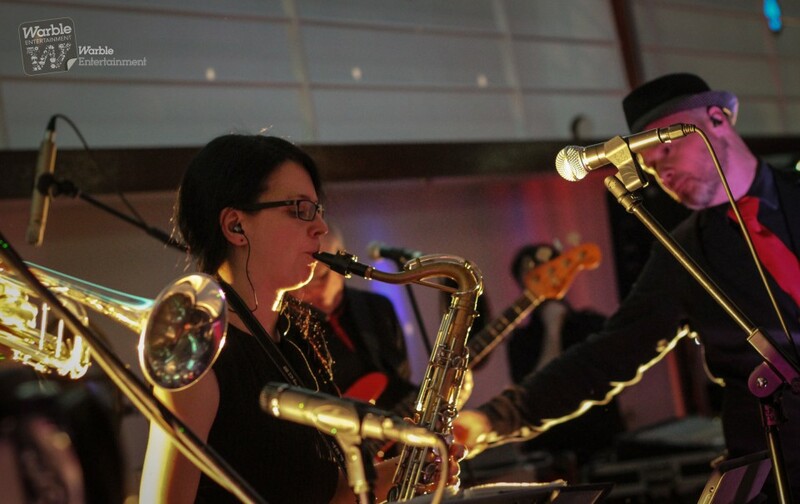 We had so many positive comments after the wedding about the quality of the band. 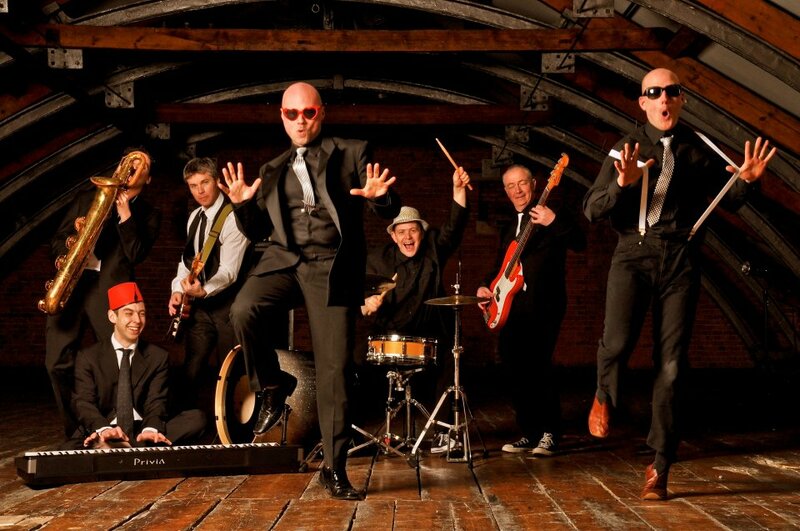 I would strongly recommend you check out the Jacks if you're looking for a professional, fun and rocking act! 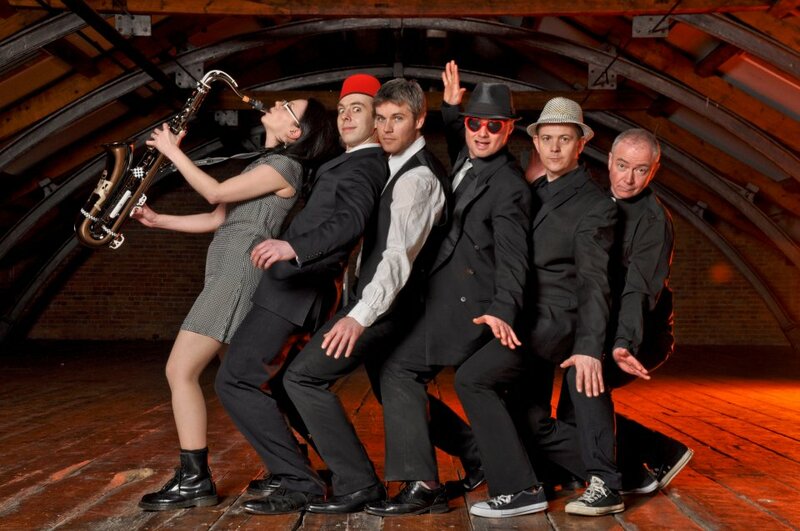 The band members each average at least 15 years performance experience & have engaged in tours around various areas of the world including the Alps, The Caribbean, Dubai, America and Mainland Europe. 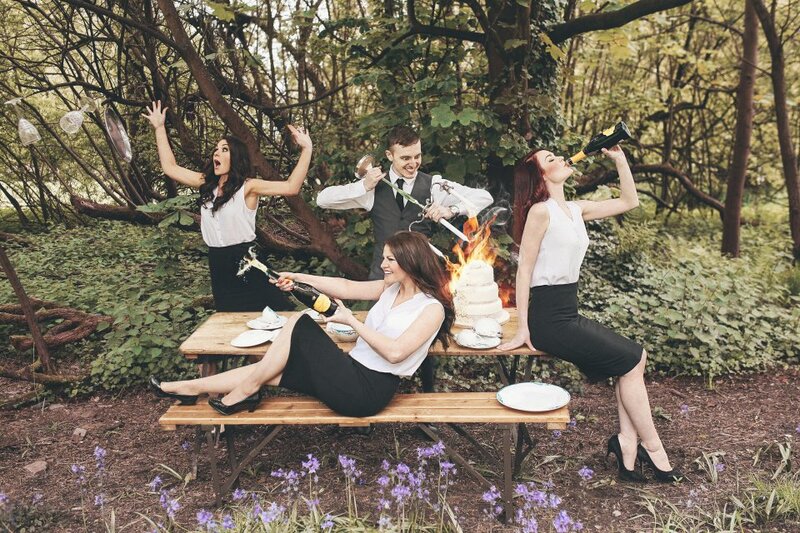 They have a broad range of professional experience between them ranging from theatre, classical music, pop music, studio recording & writing for television & dance as well as corporate performance and mainstream festivals such as Glastonbury, The Secret Garden Party, Download and The Big Chill. Outside of the band it’s members play & teach various instruments & styles of music from classical to samba and salsa, traditional African music to Electronic dance & live dub-reggae. 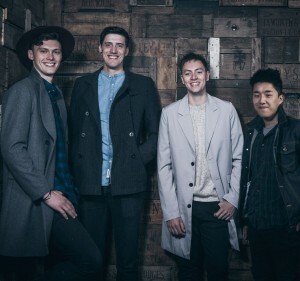 Four members of Blue-Heart Mitch And The Blazin' Jacks have honours degrees in music & all the members have written & recorded their own material. 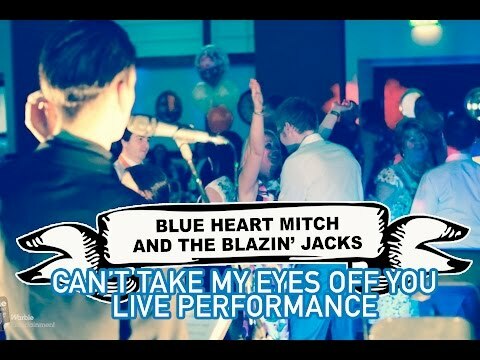 Blue-Heart Mitch And The Blazin' Jacks are insured for public liability of up to two million pounds & their equipment is PAT tested & certified. PA - 3000w includes 2 X 500w speakers & a 1Kw sub plus two on stage monitors of 500w each. Lights – 8 X 108 LED parkans & two twisters. Extra large PAs & lighting rigs can be arranged for larger venues. The band are happiest arriving early and playing a jazz set for an extra fee, followed by two evening dance-floor filling sets. The band are also keen to play with their saxophone player which also requires an extra fee. 2 x 60 minute performances as standard with an optional extra hour of jazz earlier in the evening. 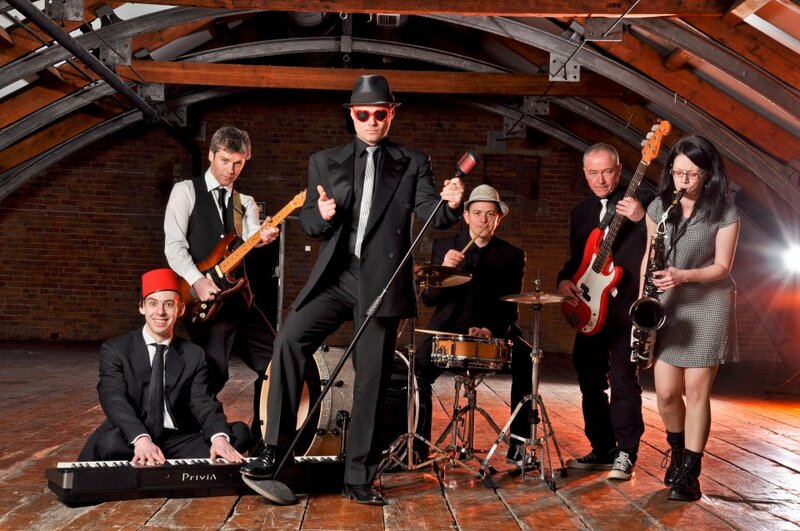 Customers who have enquired for Blue-Heart Mitch And The Blazin' Jacks have also been interested in the following Ska, Jazz and Rock and Roll Bands who are also available in Yorkshire and the North West and North East. For more information or further options, please call 0845 643 9384.